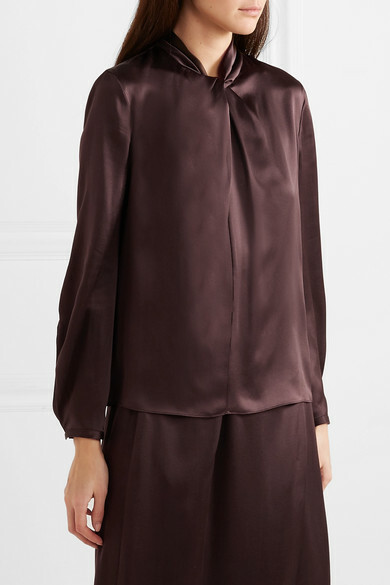 Caroline Belhumeur joined Vince as Creative Director in 2017, and it's easy to spot her influence in its color palettes - she leans towards sophisticated shades, like the brown-ish 'Black Truffle' hue of this blouse. 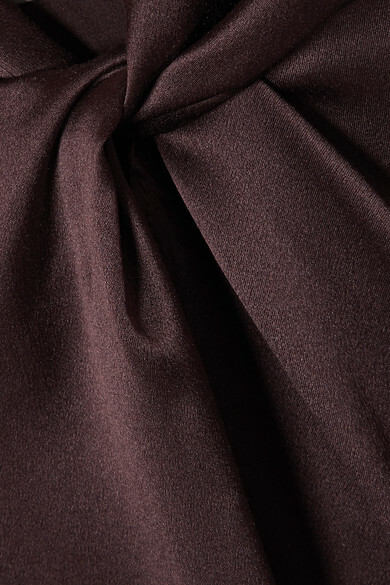 From the Spring '19 collection, it's cut from silk-satin with a sculptural knot which draws the eye to the high neckline. 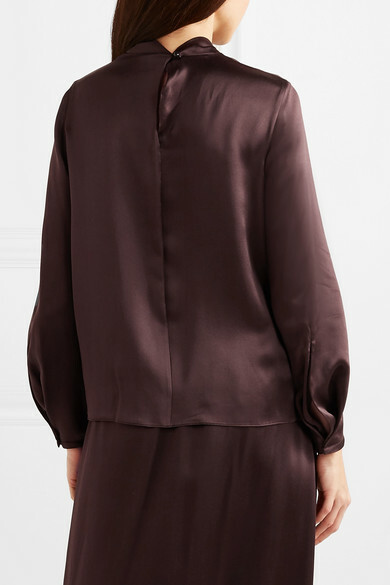 Wear it draped over the coordinating skirt. 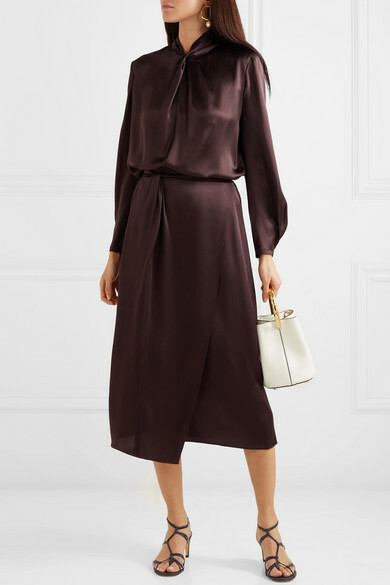 Shown here with: Vince Skirt, Marni Bucket bag, Tibi Sandals, Alighieri Earrings.